He Led The Financial Bailout But Says Banks Are Still Too Big To Fail Despite changes after the 2008 financial crisis, Neel Kashkari, one of the leading figures in the federal bailout, says major banks are still at risk. "I don't think we've gone far enough," he says. Neel Kashkari, head of the Federal Reserve Bank of Minneapolis, says some U.S. banks are still too big. One of the leading figures in the government's bailout of banks deemed "too big to fail" after the 2008 financial crisis says major banks are still at risk. Neel Kashkari, now the president of the Federal Reserve Bank of Minneapolis, tells NPR's Steve Inskeep that despite changes to Wall Street made as part of the 2010 Dodd-Frank law, big banks are still too big to fail. "If there were another crisis and banks ran into trouble, I'm afraid that taxpayers would have to step in again and bail out these banks. 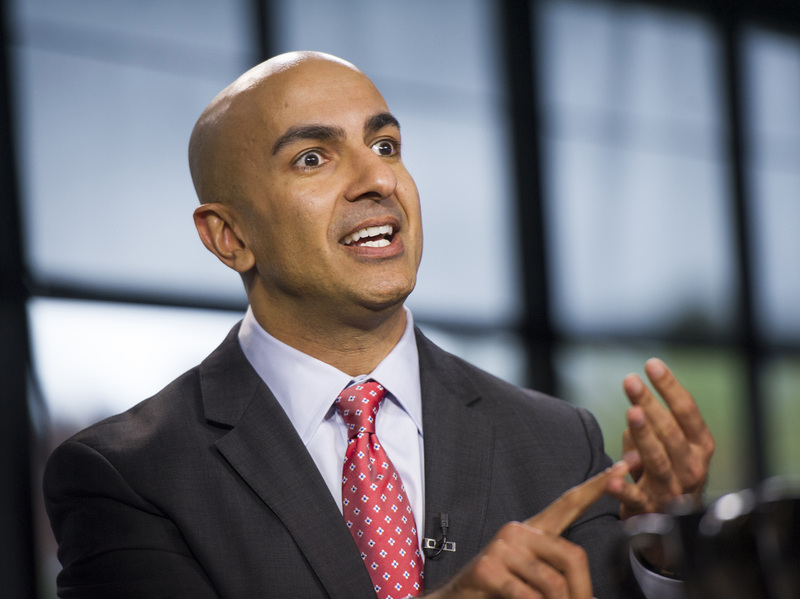 So we have not solved that problem, and we need to," Kashkari says. Banks like JPMorgan, Goldman Sachs, Bank of America, Citigroup and others. Fact Check: Did Glass-Steagall Cause The 2008 Financial Crisis? We're launching a research program to bring experts from around the country, who have serious proposals. The proposals include breaking up the banks into smaller, less important entities, putting so much capital in the banks that you regulate them like a nuclear power plant, turn them into a utility, so they almost virtually cannot fail, or even taxing leverage so that if the risks move from banks to nonbanks or insurance companies, that you can capture that wherever it goes. There are transformational solutions out there that in my view have not been given serious consideration. Well, it's not in their financial interest. It's in their financial interest and in their shareholders' interest to grow as large as possible, and unfortunately, the risks are then borne by society. We never want to be in a situation where we are forced to do that again. We were forced to do it in 2008. We hated it. But it was the right thing to do at the time. Let's make sure that we improve conditions so policymakers in the future are never put in that position again. It's not the influence that I'm trying to solve. I look at the analogy of the tech bubble. We had this big boom in the '90s. It all crashed in 2000. That was devastating for Silicon Valley, but there was no risk of an economic collapse for the broader country. We need our big banks and our banking system to be able to have that type of a shock without bringing the rest of the country down with them. I agree with Chair Yellen. The question I'm asking is: Have we gone far enough to avoid bailouts? I think we have to go quite a bit further. Even last week, Chair Yellen said that it's too soon to declare victory on too big to fail. The Federal Reserve is nonpolitical, it's nonpartisan. I'm in a completely nonpartisan role. But I want as many people across the political spectrum as possible to be supportive of these ideas, and so I would welcome everybody who cares about these ideas to speak up.